Shortly after Bivol published an investigation into a cocaine channel from South America to Europe, witness Iliyan Ivanov was brutally beaten. At the end of July, retired Bulgarian national Tsvetanka Evstatieva was arrested in Switzerland as a “mule”, carrying 700 grams of cocaine in her luggage from Sao Paolo to Bulgaria. According to the testimony of her grandson, Iliyan, she has been recruited by criminals from the northwestern Bulgarian city of Vratsa. 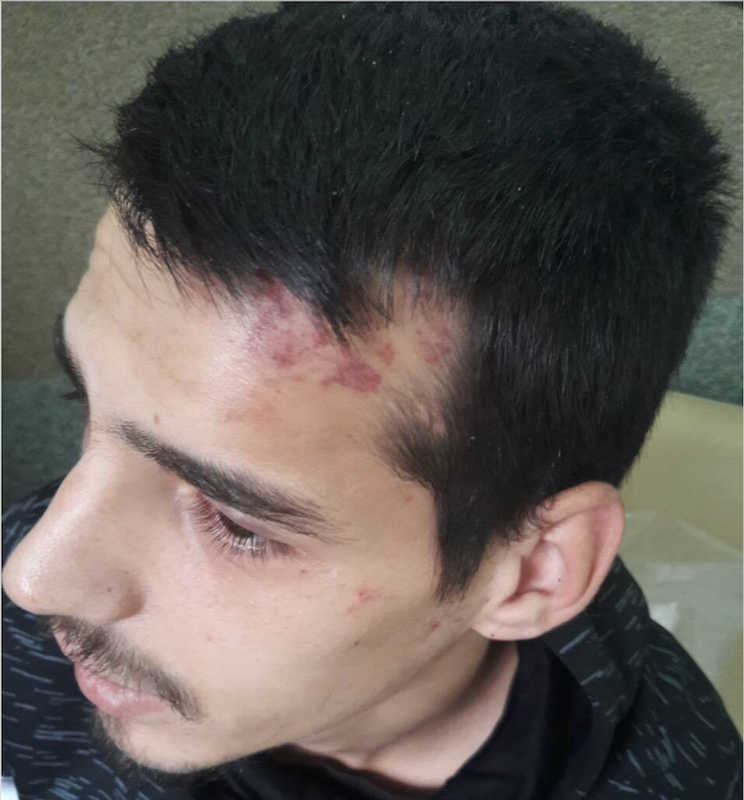 The youngster was attacked around 9 p.m. on Thursday, September 21, in front of an apartment building in the Vratsa “Dubnika” district (Bivol’s publication was released at 5 p.m.). He was ambushed a few meters from his home by a group of bouncers. One of them struck a heavy blow with an object on Iliyan’s head. He fell to the ground, and the attackers continued to beat him and kick him. As they did it, one of them repeatedly told Iliyan in a calm voice to keep silent and not speak anymore. The boy lost consciousness from the heavy blows. Doctors from the emergency room in Vratsa established that Iliyan had a broken arm and a lot of bruises. He is due to be certified Monday by the forensic medical practitioners and has filed a complaint with the police. Bivol immediately contacted the head of the Vratsa Regional Directorate of the Interior Ministry and asked the young man to be placed under a police watch. So far, however, there has been no reaction on the part of the authorities. Iliyan is an important witness in a serious case with a cocaine trafficking channel from South America to Europe, suspected of being under the auspices of high-ranking officials in the system of the Interior Ministry. The inactivity of the institution, after the Swiss authorities have informed it and after Bivol’s publication, indirectly confirms these doubts. With this publication, we are addressing directly the Chief Secretary and the Minister of Interior, asking them to intervene and guarantee the life and safety of Iliyan and to initiate a procedure for launching pre-trial proceedings for an organized crime group (OCG). In the absence of a response from the institutions and persons we have approached, we will consider them responsible for the attacks against anyone who is threatened and/or injured by the criminal group.